The name of Patrick Brompton is unusual, Brompton is easy to explain; the commonest Saxon place names are those ending in -ton. Derived from the Old English words Tun, meaning fenced area or enclosure. Often the name described some feature of the area, such as Brom Tun [Brompton] -'the enclosure where broom grew'. Broom gets its name as the best sweeping brooms were made from the twigs. Broom was an important resource, which is why almost two hundred place names were named thus; broom was used for hundreds of years providing thatching, baskets, dye, fencing and strange medical remedies and broom buds pickled in vinegar were considered a delicacy. They were also vital to the production of beer-making to provide the bitter flavour before the introduction of hops. It is said broom will only grow well where two lovers have met in private and pledged their troth. Patrick is harder to explain. 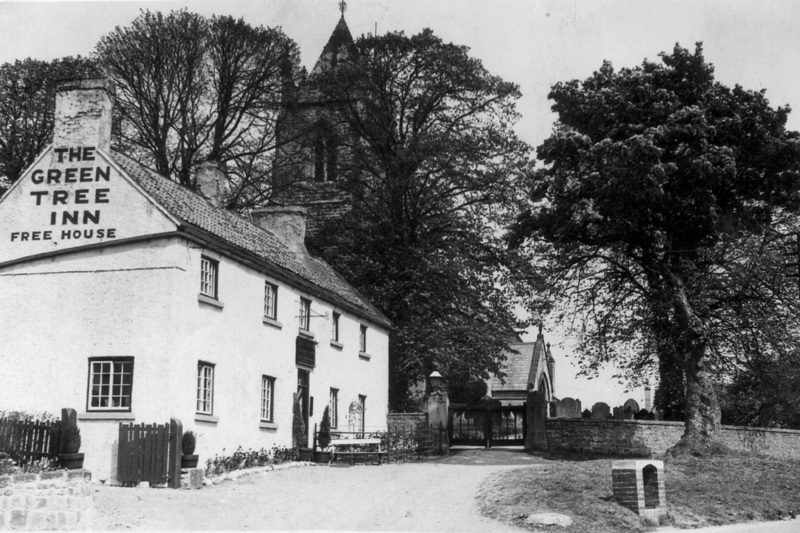 Most likely, found in a deed about the year 1100 and during the reign of Henry I, is the earliest evidence of a Church in the village being dedicated to St Patrick. Whilst this is the earliest documentary evidence of a Church and its name, it is more than likely that prior to this date there would have been a Church and it would be named the same. 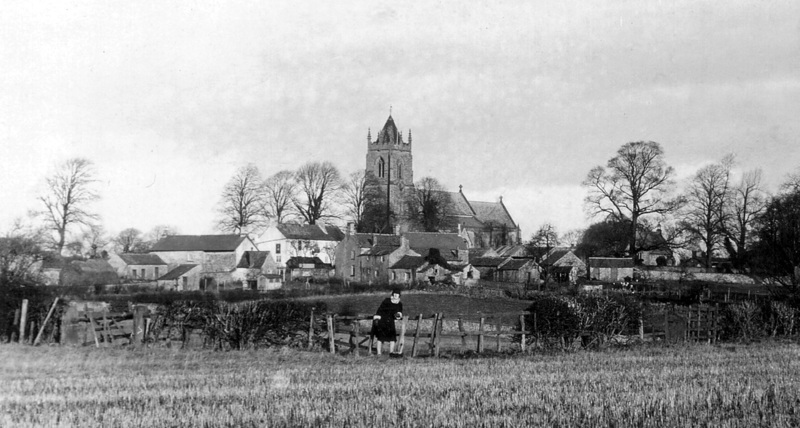 Around this time the village becomes more regularly referred to, in its many variations as Patrick Brompton, and one is tempted to say, the village is named after its Church to distinguish it from many other Bromptons in the North. Saint Patrick, known as the Apostle of Ireland, became Bishop of Ireland sometime after 431. Patrick suggests an Irish influence and why this was so, was a mystery, until research provided a possible answer. Viking power in the British Isles suffered a major setback in the year 918 when the Native Irish under the leadership of the King of Leinster expelled the Hiberno-Norse [a well-established mixed race of Irish and Norsemen] from their great colony at Dublin. They took to their boats to seek land across the Irish Sea and settled in the Lake Counties and part of Lancashire and Cheshire, moving across the Pennines into the upper Dales. Place names with West Scandinavian names; occur locally at Scotton, Arrathorne, with Gunnerside, Keld ,and Muker in Swaledale. 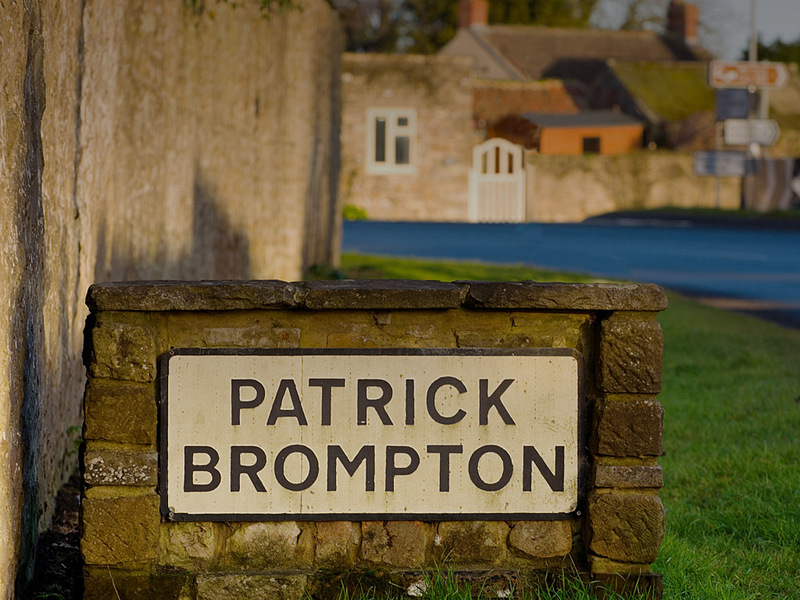 The naming of Patrick Brompton took many forms over the centuries. 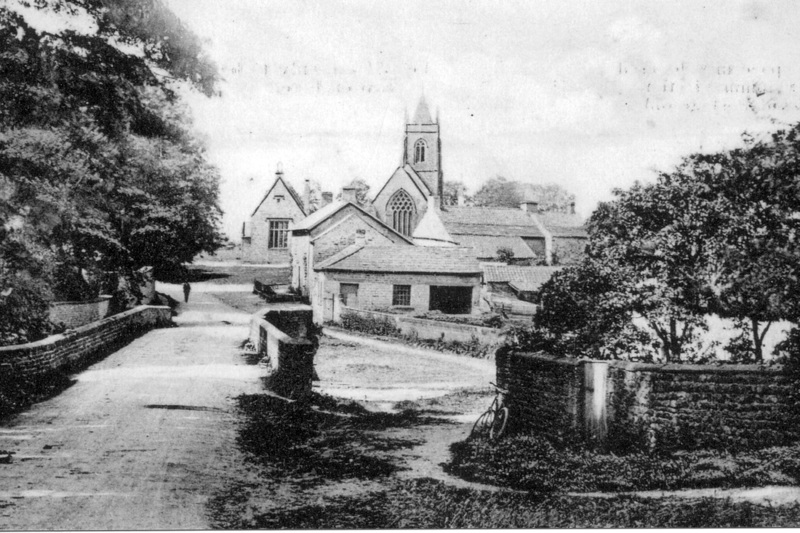 The village is listed by the Normans as ‘Bruntone’ [abbreviated Latin] in the “Great Domesday“. Sometime after 1090 it appears as Patric Brumpton. There are various spellings over the centuries, Brunstone 11th C., Patricbrumstone or Brumton Patrick, 12th C., Paterick Burnton and Paterick Brumpton 13th C. Delightful forms found in the 14th C, include Patryngbrumpton, Patrikebrompton and Patrigbrompton. Written in 1577, another spelling was Patrike Brumton and then found on the cover of the 1683 -1722 Church Register ‘The Ridchester of Patterick Brompton’. Other forms found are Brunton Pateryke and Papptterick Brompton. Before literacy was common throughout England, place names often changed and mapmakers were as much responsible for this as local people. The first county map by Christopher Saxton 1577 has Patrikbrunton. It is now more affectionately known as PB! 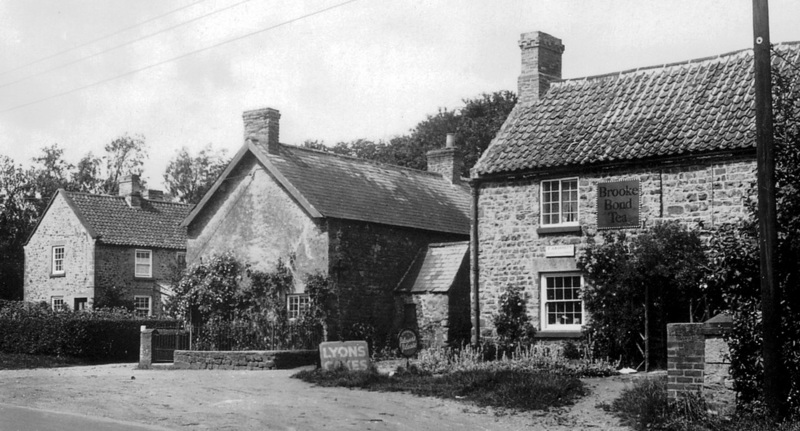 There are eight properties including the pub and church plus ten gravestones listed and available to view on line at http://www.imagesofengland.org.uk; which is free. To access, register your e-mail address; enter Patrick Brompton and there is a brief description of each property and a photograph. Dalesend, originally called Patrick Brompton Hall is now owned by the Ropner family, It was built by Samuel Atkinson. The longest ownership was by the Elsley Family. An interesting owner was William (Billy) Nevett, jockey on the last Yorkshire trained Derby winner “Dante”.